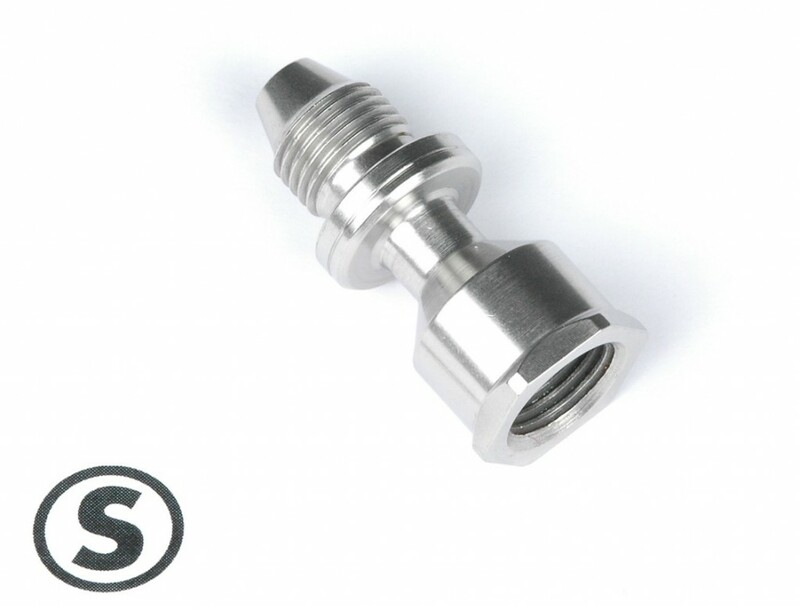 Say hi to our new fuel fitting. 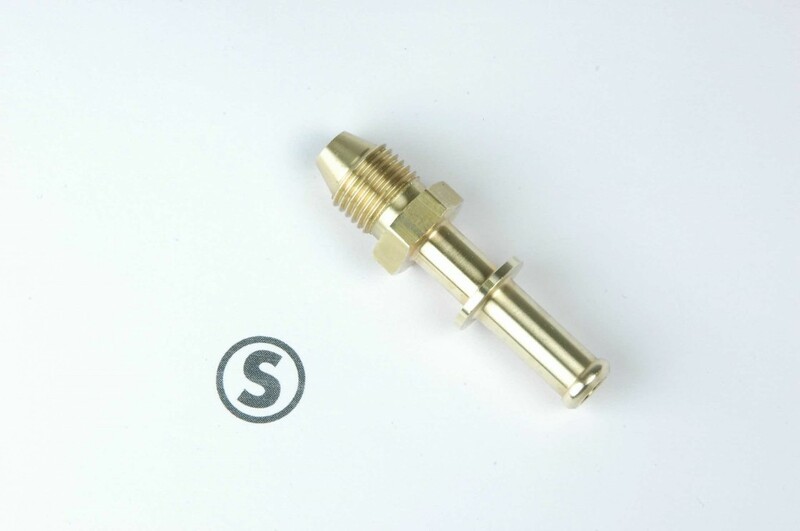 9080K-E – Extended SuperSeat fuel hose fitting. Most people won’t need one of those – the regular 9080K fitting will do a great job. But in certain circumstances – mostly on 6×2 intakes – this is a great idea that solves a real problem. 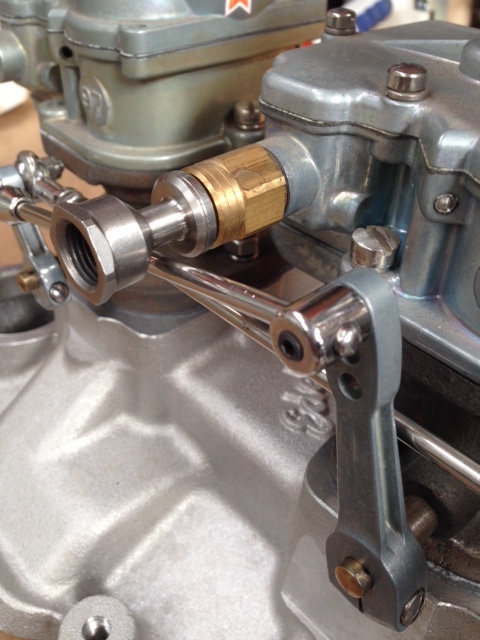 On a typical Stromberg 97 3×2 set-up, most people mount the linkage with the sliding rod pushing the back carburetor open, but on a 6×2 progressive linkage, the sliding rods on each bank must pull the front carbs open instead, because of clearance issues with the back-bar. 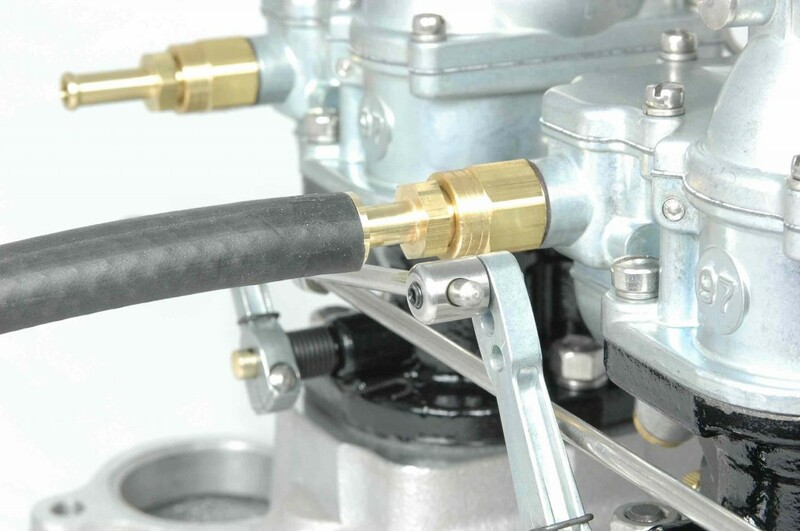 This WAS a problem because on a front-facing 3×2 progressive, the sliding rod (in the top adjustment hole) would rub on the underside of the center carburetor hose. You can’t move the sliding rod to a lower hole because the bottom hole is taken by the link to the back-bar. And you can’t swap them or those back-bar links hit the back carb fuel inlet! 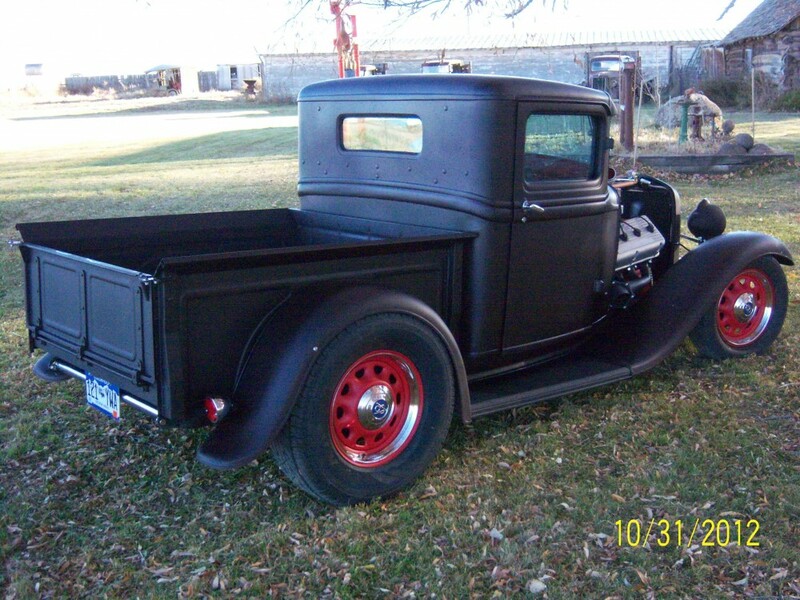 You may have seen pics of old school 6×2 progressives with slider rods bent like a big L shape to miss that center carb fuel inlet. 9080K-E simply moves the hose and clamp a little further out to leave a gap for the sliding rod to clear. So no linkage interference and no bendy rods either. Of course, there are rare instances on a 3×2 where the progressive linkage must pull the front carb open, and again, the 9080K-E is ready to solve the same clearance issues. Available at your local Stromberg dealer now! 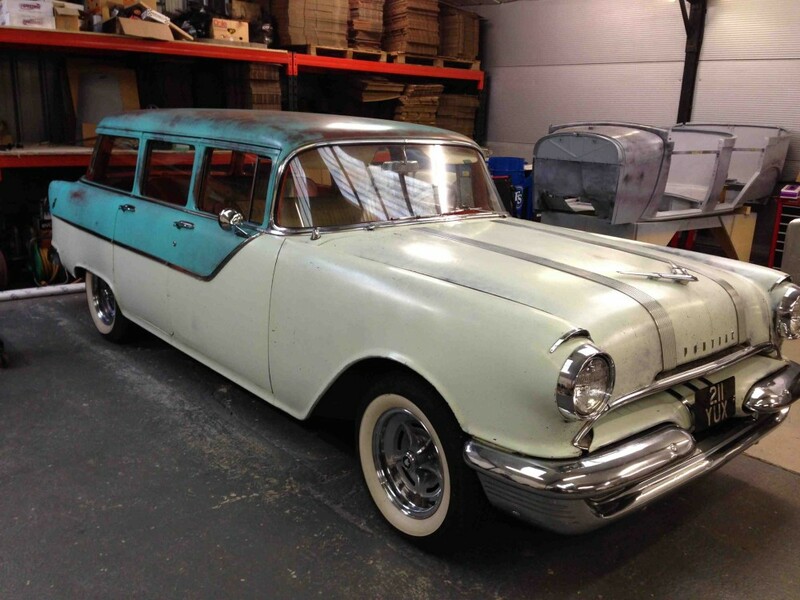 How much do we love a 1950’s Sports Rod?! 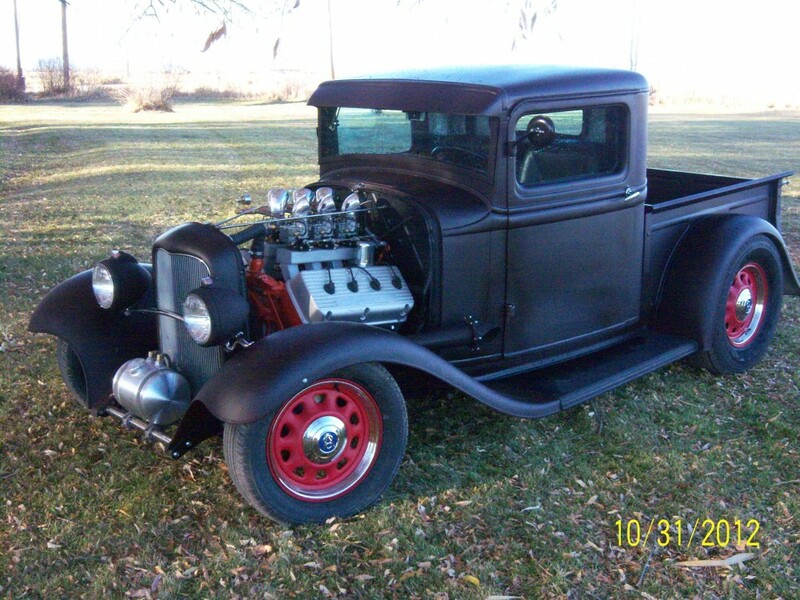 And what better than a Chevy powered Sports Rod with six 97s? Scooter Gabel send us some pictures of the Wright Special that he’s currently restoring back to its former glory and, as you can see, it’s pretty complete considering it’s over 50 years since young Johnny Wright put it together. 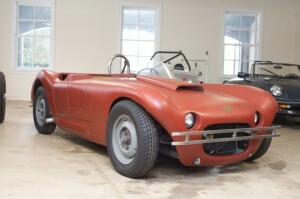 According to this August 1960 Hot Rod Magazine feature, it had a bored and stroked 328 inch ’57 Corvette motor with an Edelbrock Stromberg 6×2 intake, an aluminum hand-formed body and a Halibrand quick-change rear end. Sadly the induction system was missing, but the intake appears to be an Edelbrock ML C67 so Scooter’s on the hunt for one right now. He also says that the car’s craftsmanship and build quality is far beyond anything from the mid ’50s he’s been around before, and it has timing tags from El Mirage at 143+ MPH, so that speaks volumes for the car! I am sure we’ll see more pics when she’s back on the track. 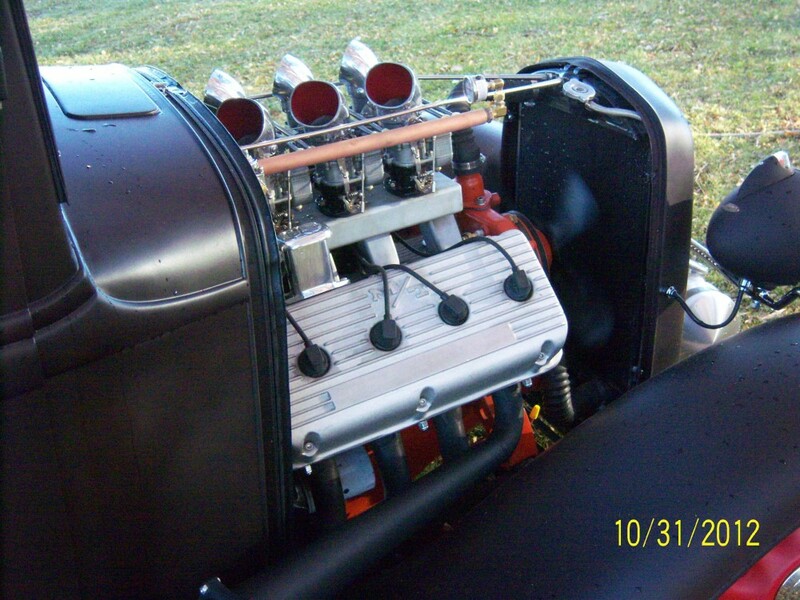 Two Hemi Motors. 12 x 97s. It’s not that often you see Stromberg 97s on a Chrysler Hemi. 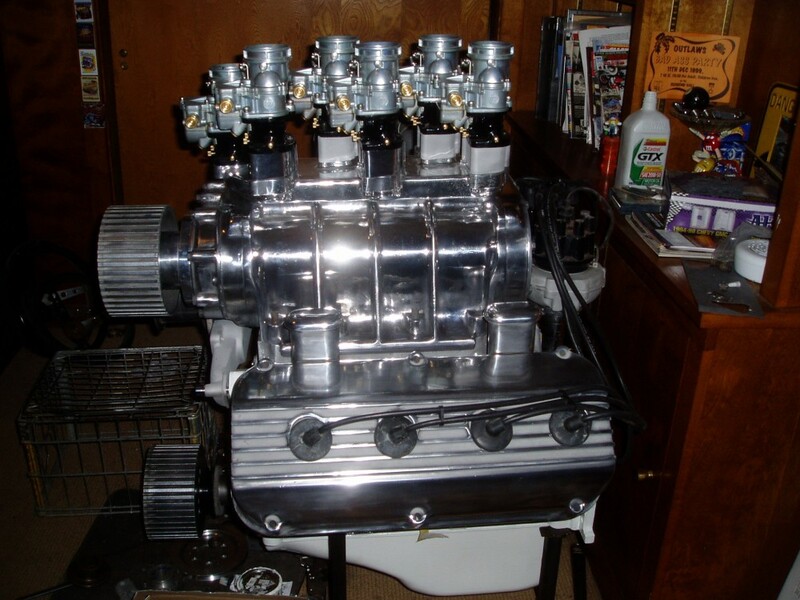 In fact, I’ve got to admit, aside from the ancient drag racing pics from back in the good old days before 4-bbl carbs, these are the first I’ve ever seen. And they both arrived into our inbox in the same week! 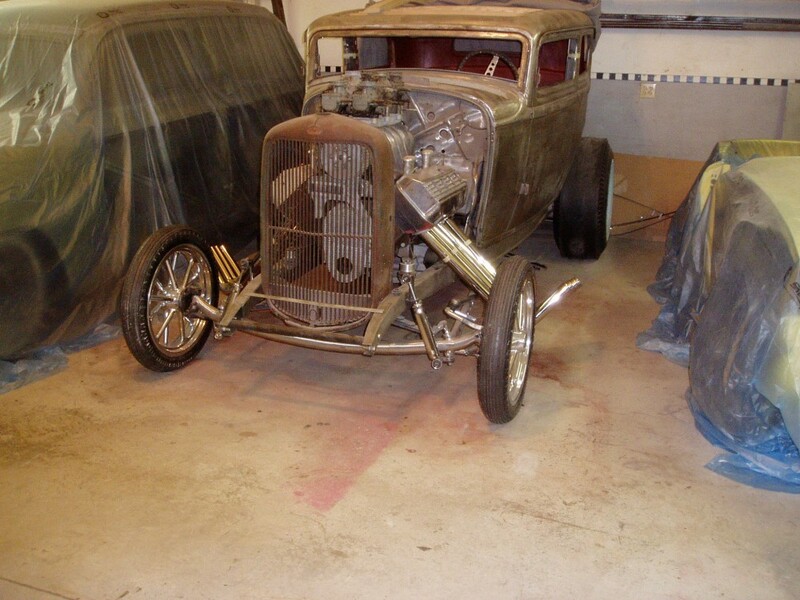 Our East Coast buddy, Rich Green, sent a couple of pics of his crazy ’32 sedan project, with six new 97s on a blower plate….quite an eyeful in anybody’s language.